Welcome: Marlboro, Mahal Bro... Jagan Beli itu! 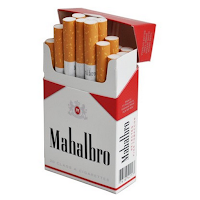 Marlboro, Mahal Bro... Jagan Beli itu! Which of this pix is not like the other? Marlboro, Expensive Bro... Don't Buy them! Cigarettes, Expensive Bro... Don't Buy them!